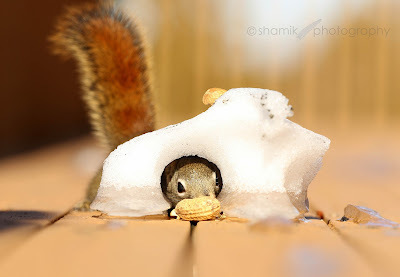 There was a little bit of snow and ice on the deck so I decided to have some fun with the squirrels. I hid a few peanuts in the tunnel and didn't have to wait long for mr. squirrel to show up. Did you see what he was up to last week?